BAKU — President Ilham Aliyev had a meeting with country’s leading comedians, jokesters, pranksters and major jackasses early this morning. After all 6 of them arrived, President explained that he was getting more and more concerned with absence of funny jokes about Armenians in the last year. “I used to enjoy Edik Nalbandyan jokes in Day.Az, but that’s old now, we gotta find something new, there’s got to be something funny about Armenians that we haven’t noticed yet. Otherwise I’ll think your sense of humor was surgically removed.” — said the Azeri leader. 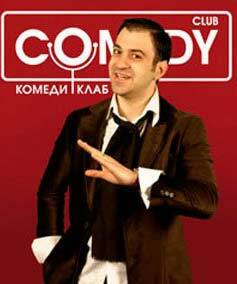 Official Baku first became seriously concerned with Armenian comedy threat in 2005 when Armenian comedian Garik Martirosyan became insanely popular in Russia. Martirosyan was very disturbing for three reasons: he was very, very, very, very funny, he was located close to Kremlin and there was evidence of Putin himself smiling 5-6 times at Martirosyan’s jokes. 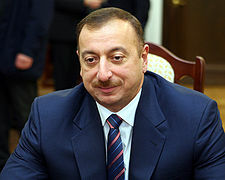 In 2006 Azerbaijan tried to pass a resolution in UN banning Garik Martirosyan and accusing Armenia of using unfair tactics and aggressive discrimination against humorly challenged nations. Agshin Mehdiyev Ambassador Extraordinary and Plenipotentiary to the UN said “I know Garik Martirosyan does not make Azeri jokes on Russian TV now, but we have no guarantees he won’t do it tomorrow. It is like having S-300 missiles pointed at us all the time”. Russia promised Martirosyan would not make devastating jokes about Azeri Government in exchange for 2 oil developments in Kaspian Sea and the matter was settled, but the potential threat remained. “We see that Armenians make more and more jokes about us and I gotta admit some of them are objectively funny” — said Aliyev — “I give you 48 hours to come up with a joke that will make the whole world laugh at Yerevan”. If the comedians fail to make a laughing stock out of Armenia in 48 they are likely to face 10 years of imprisonment for treason of National interests. Analysts predict they’ll probably look into some Israeli jokes about Palestine and will try to rip them off. Meanwhile ArmComedy’s sources say Azeri officials tried to contact some American comedians to order some really good material for Armenia. Allegedly Jon Stewart told Azeris where exactly they can put their $100 000 and Jerry Seinfeld couldn’t stop laughing for five hours straight until given some sedatives. Esor Google ads wonc a eghel? :)) mi law pogh chek arel azerneri wra? Eshi zrroce chi karogh gailin viravorel !!!! Azerinere lav klini irenc sephakan patmutyun vra jocker anen! — И что же они гласили? – заискивает Алиев.